The media office of Shuaib Yaman Abdullahi campaign organisation and Yaman Support Group have called on the people of Kwara State to keep the fire of hope burning. This was contained in a separate democracy day message released by supporters of the front line democrat, farmer and business man, Alhaji Shuaib Yaman Abdullahi who is vying for the governorship position in Kwara State. The group believes that the essence of democracy has not been clearly defined in Kwara State over years because the people have only seen government offices dominated by members of a particular political camp, therefore the people might be tempted to believe "we are doing well". According to the release, everyone in the state must take interest on how they are governed and begin to participate actively. "We have done well in the areas of prayer and supplication, we have been able to invite the Almighty God Himself to the state. He has heard our cry but we must play our role. We must work in the remaining days for this government to hand over in a way to usher in people oriented government. "We have come a long way, we have seen it all. We have been part of the success story in many states but the situation in our dear state couldn't support such except those who are willing to kowtow to the lord of the manor. "We shouldn't despair, we shouldn't fold our arms even the Prophet didn't admonish us to do so. We must take our destiny in our hands. We must return to the time of old, when tractors were available during raining season, when fertilizers could be accessed by the local farmers and the market was for the day to day farmers." It reads. 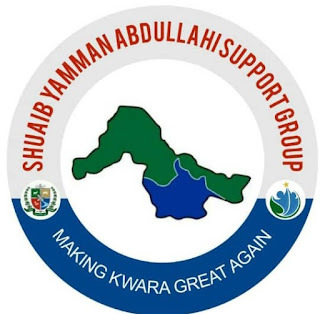 The group concluded when it called on the people of the state to join its principal, Alhaji Shuaib Yaman Abdullahi in his bid to build a new Kwara as he declares in the coming month.